Spacious, well desired GOLF MEMBERSHIP Bradford Fl plan. Very well kept , nicely painted & only occupied by the owners seasonally. NEW REFRIGERATOR IN 2013 AND NEW AC & HOTWATER HEATER in 2014!! This charming property also comes w/ HIGH IMPACT GLASS on all the windows & sliders which will give you peace of mind while you're away, is great on sound control & very energy efficient too!! 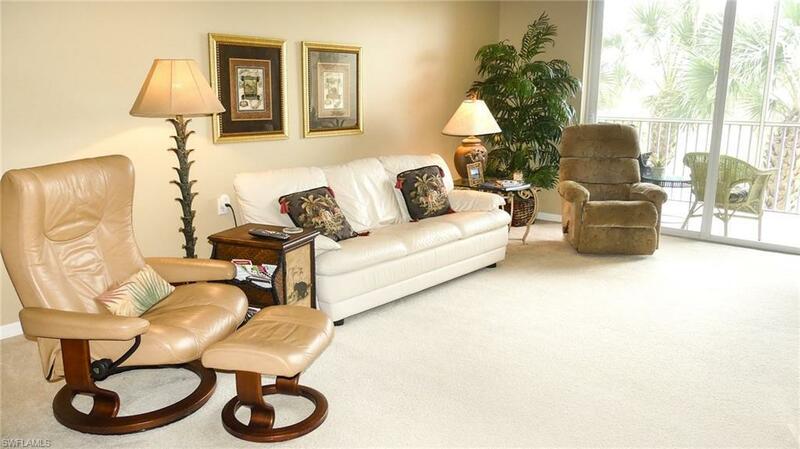 Spacious living room and eat in kitchen will give you plenty of room for guests. Large walk in closets in the master bedroom and also offers the nicest master bath of all the condos.. with separate his and her vanities and large shower, along with a linen closet too!! Tiled lanai to sit back and relax on, while catching a glimpse of the golfers on the 5th fairway and spectacular sunsets!! The Legends is a private country club offering a 30, 000+ clubhouse w/ fine dining, sports pub and a gorgeous outdoor sunset grill!! Tons of amenities to choose from too such as tennis, boccee ball, pickle ball, multiple pools & an exercise center/aerobics room w/ tons of classes to choose from. Along with all this.. The Legends offers Championship Golf w/ no cart/greens fees!! Resort Style Living to it's finest! !